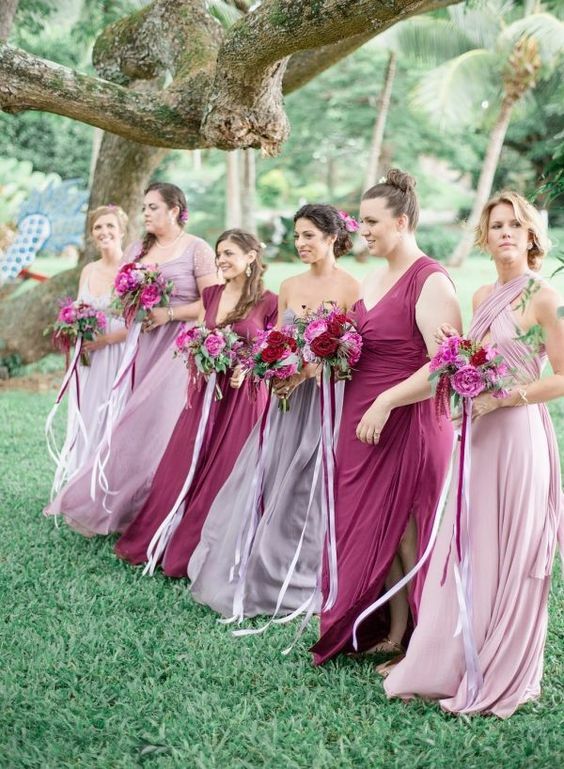 Everyone knows bridesmaid dresses can cause a whole lotta drama! Be aware of the cardinal rule – one size doesn’t fit all. And take into account their preferences too. 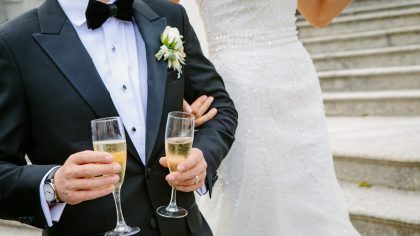 Hopefully with these tips from Linda Curtis of Loving Invitations, you should be on to a winning combo where everyone will look and feel amazing on the day. 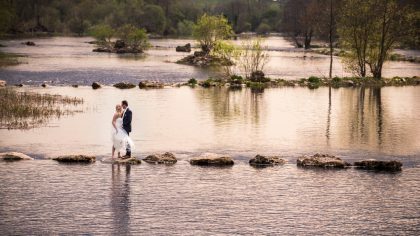 This is your wedding day, so YOUR vision should be the starting point. 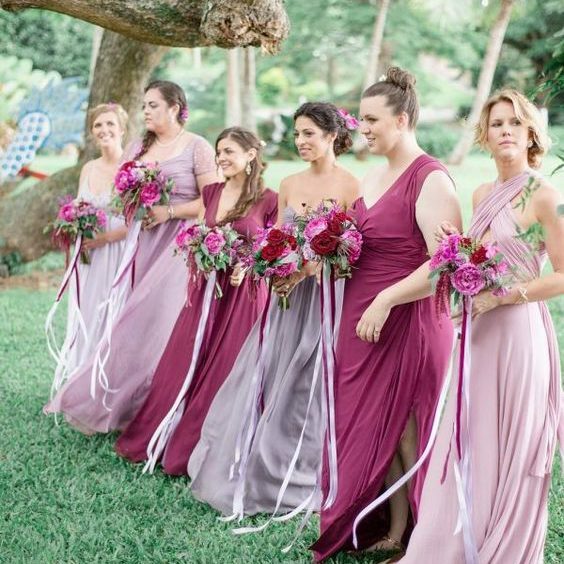 It goes without saying that you should have reached a final decision about your own gown before considering what your bridesmaids will be wearing. This will allow you to create a cohesive look and colour scheme for your bridal party by using your dress as the focal piece. Once you’ve decided on an overall theme, you can figure out the details of the individual dresses. You may find that your ideas will change and develop during this process; this is totally natural, so keep an open mind! Listen to Their Preferences Too! Of course, while your vision is important, it’s not the only thing that matters. Each of your bridesmaids will have her own preferences, based on her own taste and what she feels comfortable wearing. You should listen carefully and allow them to make decisions about their own dresses. 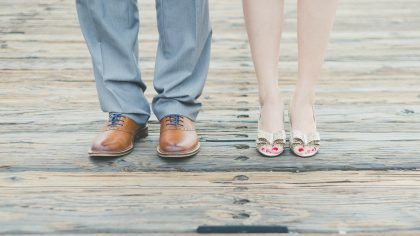 Remember, your bridesmaids will likely be spending a considerable amount of their own money, so they’re entitled to expect a significant degree of input. Disagreements may occur, but cooperation and communication should resolve these. The end result will be happier bridesmaids, and a look for your bridal party that benefits from a diversity of styles and voices. As we’ve mentioned above, in most cases, being a bridesmaid involves some expenditure, and the dress is the most significant component of this. The details will vary for different people, and for that reason it’s essential to have a clear discussion about the budget as early as possible. Sit down with your main ladies and discuss exactly who is paying for what, and roughly how much is available to spend. You may choose to do this individually or in a group, depending on the situation. Remember, once everyone is on the same page about how much money will be spent, you can all enjoy the fun of shopping. As with any collaborative effort, when working with your bridesmaids to choose their dresses, you’ll find there are a lot of ideas flying around. You may start with a very clear vision, which you’ll later find yourself unsure about after hearing suggestions from your bridesmaids. Don’t hesitate to abandon your original ideas if you find your bridesmaids’ influence persuasive. They want you to look your best, after all! Image Credit: The Great Romance Photo via Chic Vintage Brides.